“Goguma can’t sleep” is a special version of Goguma who is Ori’s friend. 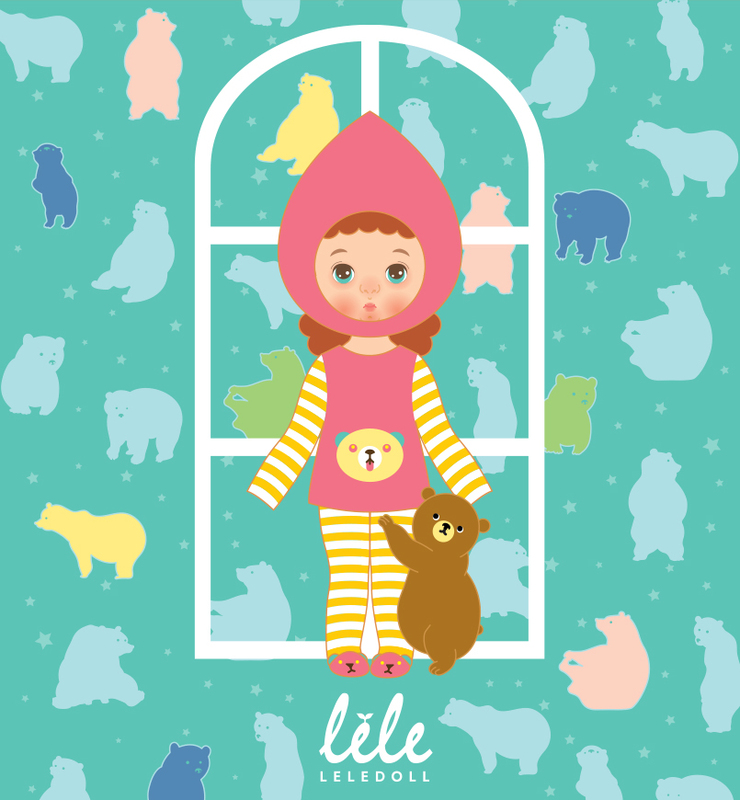 Goguma wore a cute pajama and went to bed with a little bear. Goguma is using a same body of Ori and only a head is different. Goguma has a cute face under the concept of a little bear. Goguma means a sweet potato in Korean. Goguma is wearing a cute hood of sweet potato shape. There is a magnet and it is fastened easily. A wig, clothes set is a charged option and it is including a hood, pajama top, pajama bottoms, and a little bear. 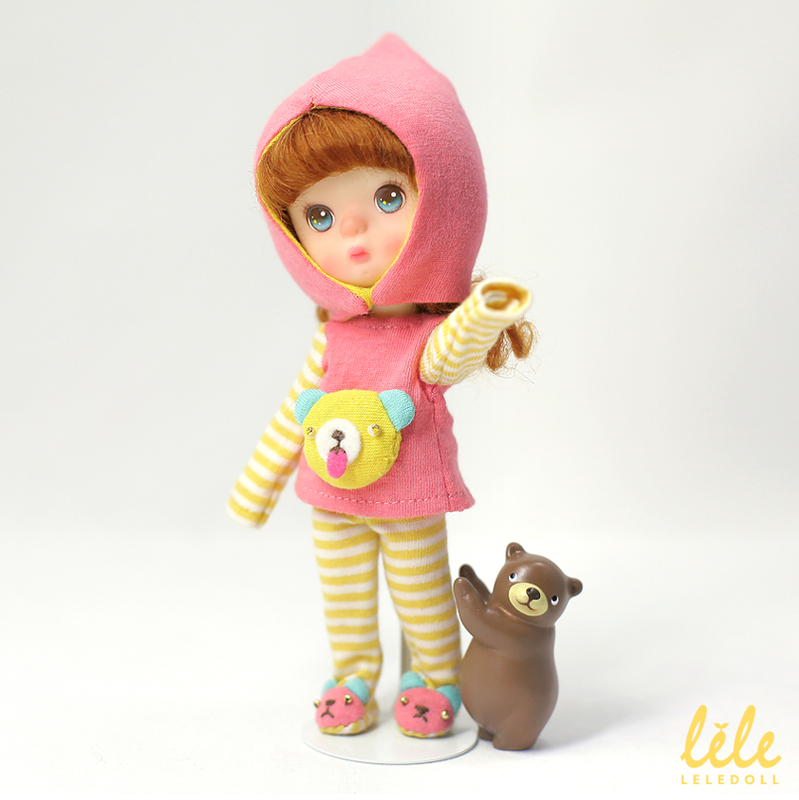 – “Goguma” is 16~17cm tall and it is pretty compatible with 16cm pocket size doll. However it has more slim boly line. – “Goguma” has painted eyes. 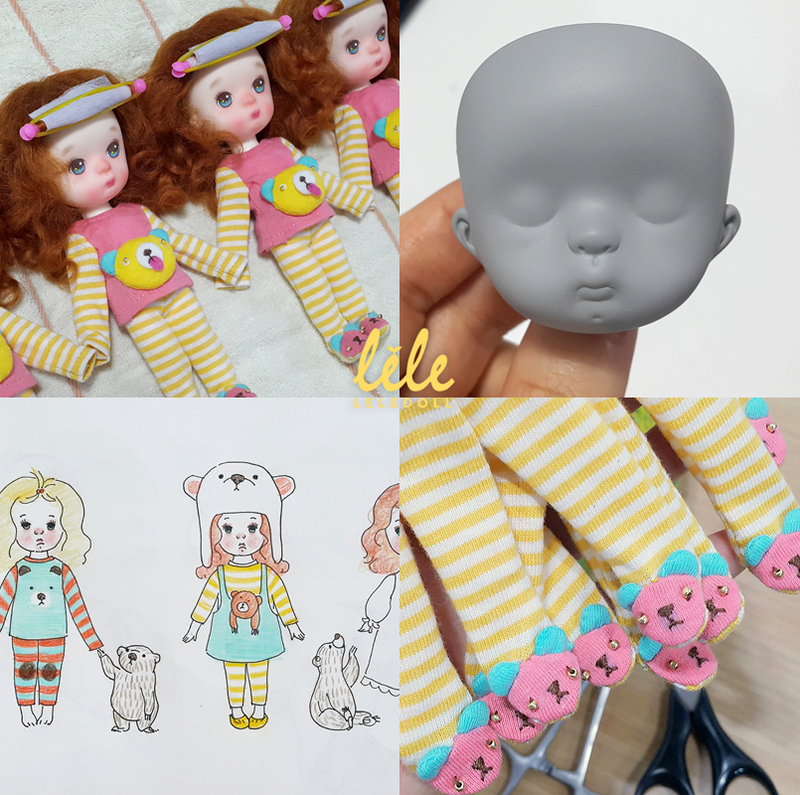 – You can put leleDoll head accessories (upcoming more) on a head because there is a magnet on a head cap.